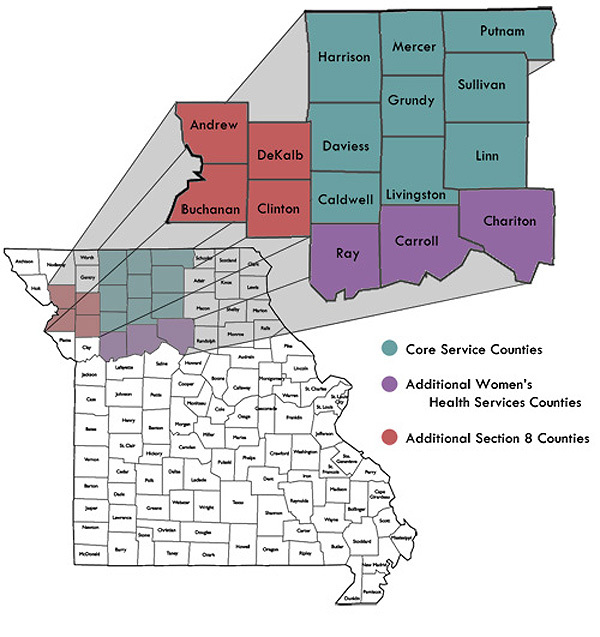 At CAPNCM, we serve 9 core counties, and offer limited services in 7 additional counties. If you have comments or questions, don't hesitate to contact our office. If you aren't certain which department might best serve your particular need or situation, call our main office toll free at (855)290-8544, and someone there will be happy to assist you. 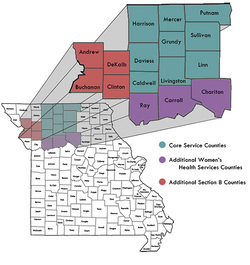 Our core service area includes the northern Missouri counties of Caldwell, Daviess, Harrison, Grundy, Linn, Livingston, Mercer, Putnam, and Sullivan. We offer additional health services in Carroll, Clinton/DeKalb, & Ray counties. Our housing assistance program also includes the counties of Andrew, Buchanan, Clinton, and DeKalb.